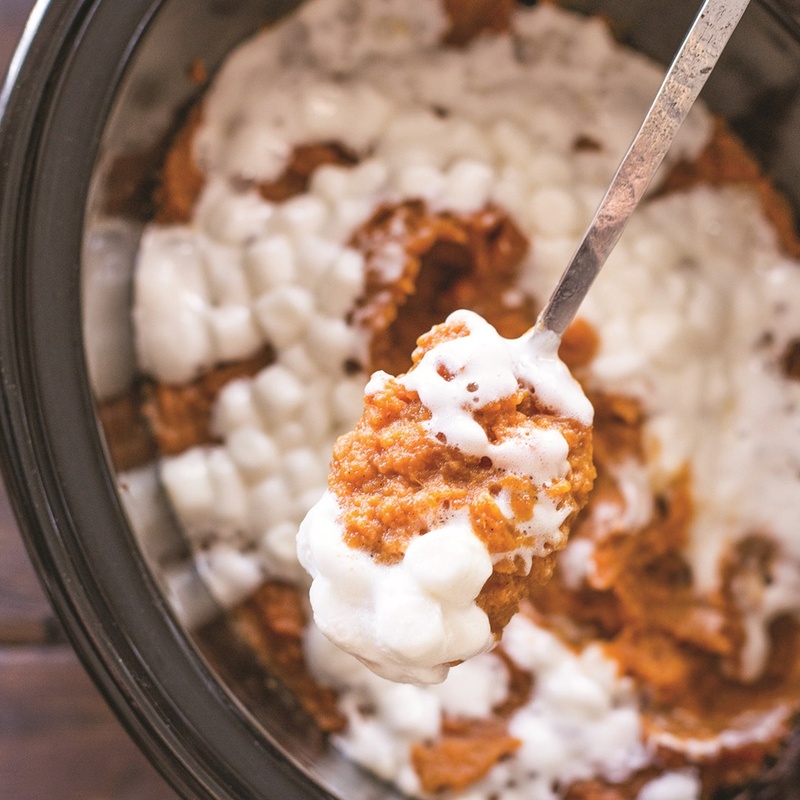 This holiday season, save time and oven space with a delicious slow cooker sweet potato casserole. The recipe is free of dairy, gluten, and other top allergens, if you wish. Nonetheless, it’s a full flavor side dish that provides the perfect taste of tradition. 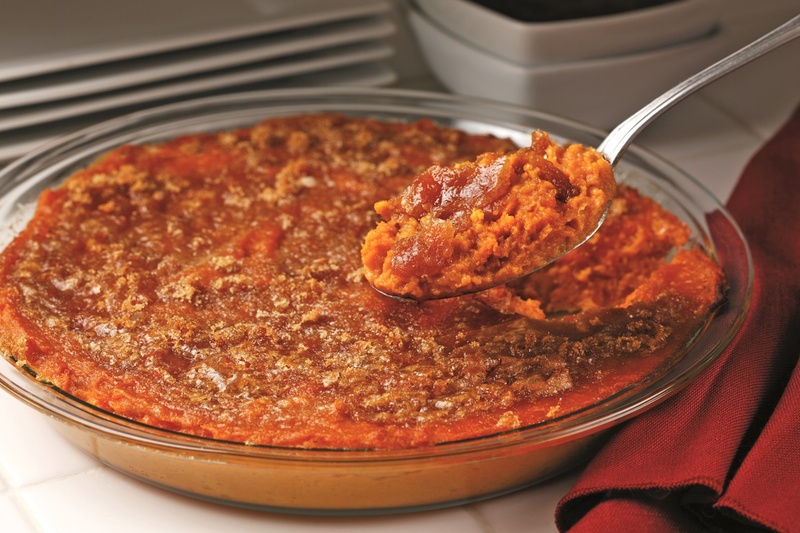 This slow cooker sweet potato casserole recipe with photo was shared with us by McCormick. By ingredients, this recipe is dairy-free / non-dairy, egg-free, gluten-free, grain-free, nut-free, peanut-free, optionally soy-free, optionally vegan, vegetarian, and optionally top food allergy-friendly. 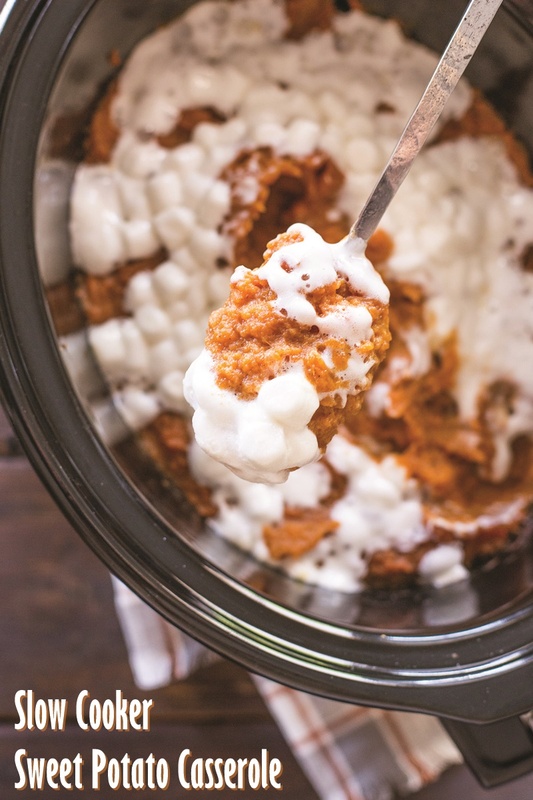 Grease the inside of a 6-quart slow cooker. Add the sweet potatoes, stock and brown sugar. Cover and cook for 4 hours on high, stirring once each hour, or until the potatoes are tender. Stir in the buttery spread (or coconut oil), cinnamon, salt and nutmeg. Cover and let stand 5 minutes. 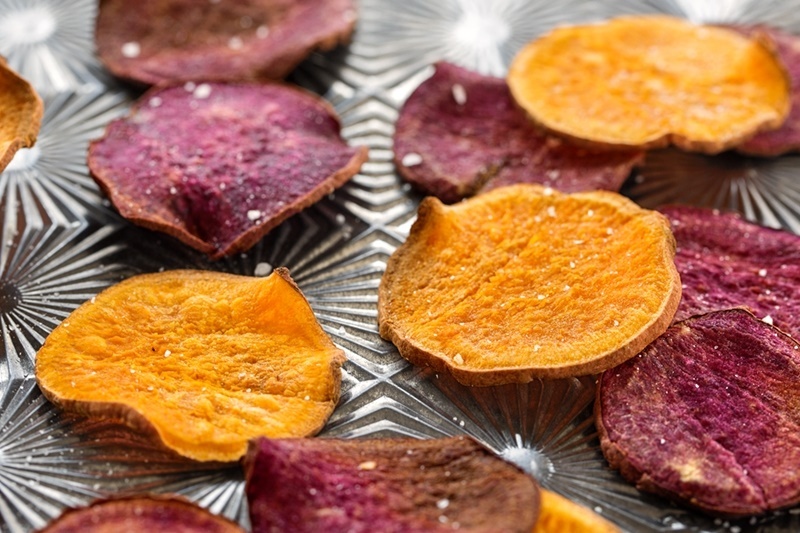 Beat the sweet potatoes with a hand mixer on medium-high speed until smooth. Taste test, and mix in more seasoning, if needed. 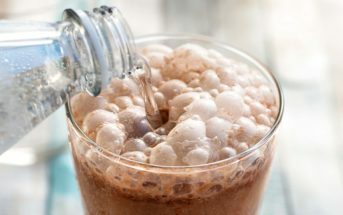 Top with the marshmallows. Cover and cook 10 minutes on high, or until the marshmallows are slightly melted. Thanks so much for the slow cooker idea. This is our signature dish for holidays and ovens are always taken up. Why didn’t I think of this before? And the other dishes shown are beautiful! Haha, happy to put this idea in your head Jamie! This is great. I love all crockpot recipes. Gonna try it for sure. Happy Thanksgiving. So I’m not usually a fan of sweet potato casserole and not beccause I don’t like the combo (umm my Toasted Marshamallow Sweet Porato Pumpkin Pie, sweet potato marshmallow pizza, and stuffed sweet potatoes with almond butter and sometimes toasted marshmallows are proof) but I don’t like the canned sweet potatoes swimming in butter and sugar topped with marshmallows. This… looks AMAZING! Yes I see butter and sugar in the recipe but the amount and the fact that their not swimming in it. Now I totally want a big bowl for breakfast! Haha, you are a marshmallow gal Sarah 🙂 I agree! 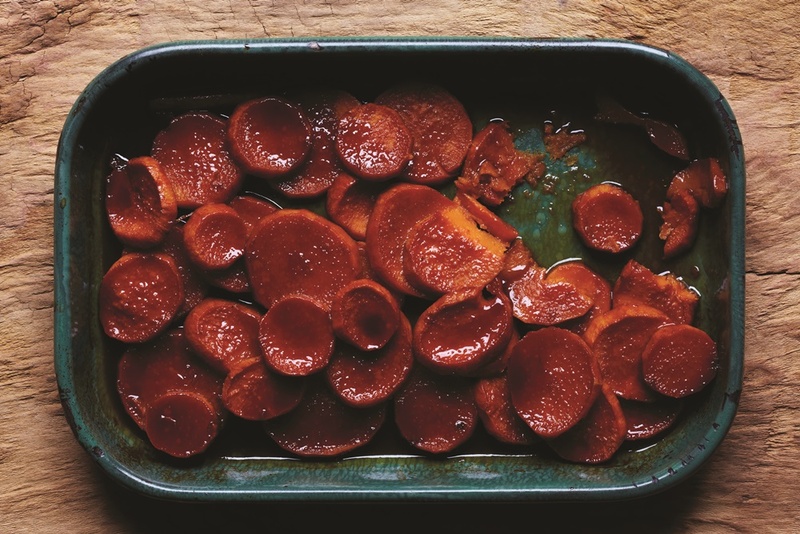 Canned sweet potatoes just don’t cut it and I love dishes like this that let those spuds shine!